Notating New Sounds – Rewrite? I love it when a composer takes the flute in hand and explores its sounds while writing for flute. It shows more dedication and curiosity than just looking up techniques in a book (not to disparage the good books about writing for flute). Sometimes, it can produce an original sound, but sometimes it re-invents the wheel. Which is fine, but the wheel may come with a new symbol and complicated instructions. I have seen this cause frustration, esp. when the instructions are lengthy and not in your language. Once you reach understanding: “ah ha, so it is ____(fill in known technique)” it may be easy to adjust to a new notation. 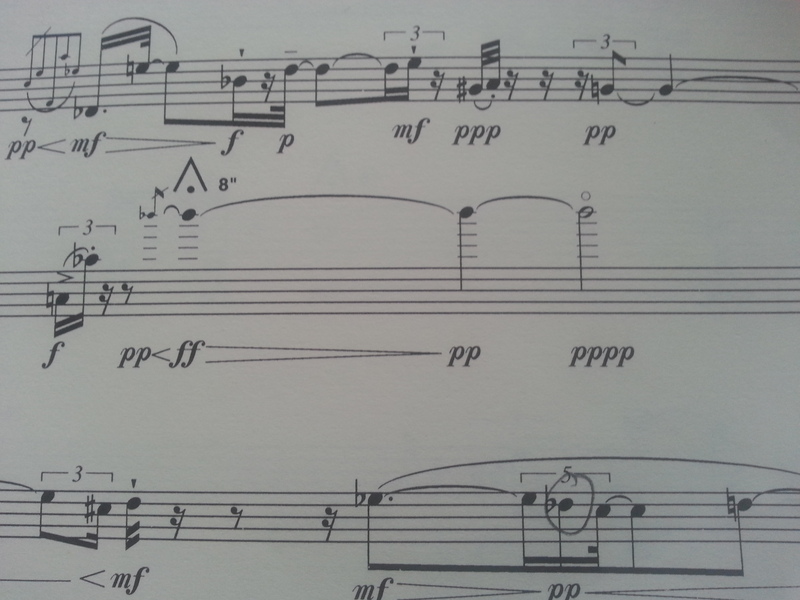 If not, then I am faced with the question, do I spend time re-notating, or visually re-adjusting to the score? This is something I will come back to. It might interest you to look at the late flute works of Karlheinz Stockhausen. 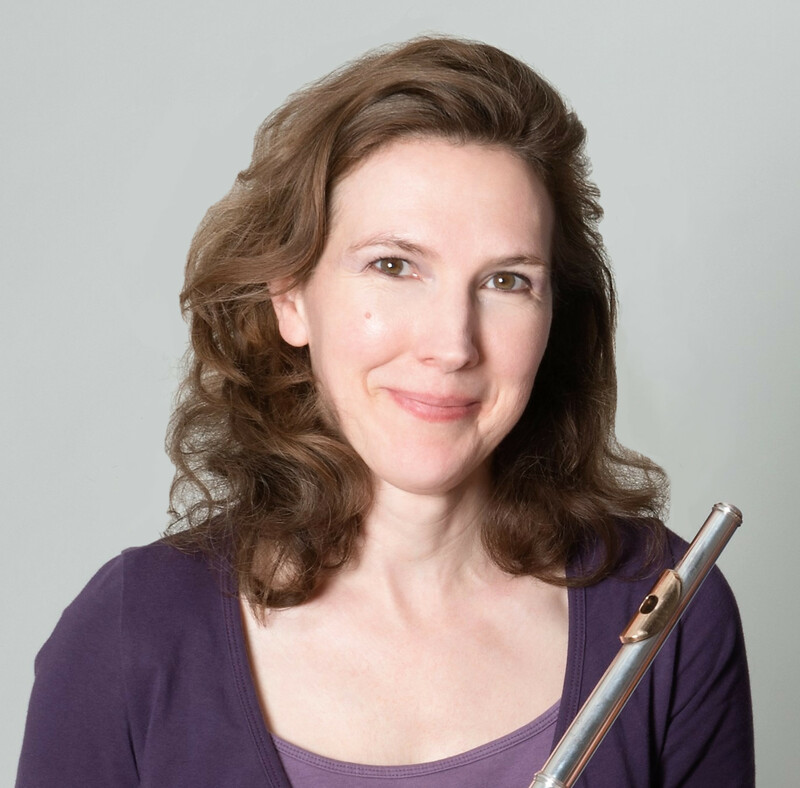 Thanks to his collaborator, Kathinka Pasveer, everything is 100 % playable and extremely well notated. Xi, Flautina and Kathinka’s Gesang are several examples of pieces with well-notated techniques. You will see that even among flutist composers there is no standardization of extended techniques. However if you study them, you get a feel for what is accepted and what the players are used to reading. So take your pick; if the player has questions, you can always refer back to the piece or composer from which you took the notation. In concert, I feel more secure. When under pressure, there is enough extraneous sensory information and certainly there are enough extraneous emotions to deal with. If you are not playing from memory, the score is your anchor. It has to be solid. I have already written a lot on the subject of percussive sounds, but here I would like to add a few subtleties of usage. 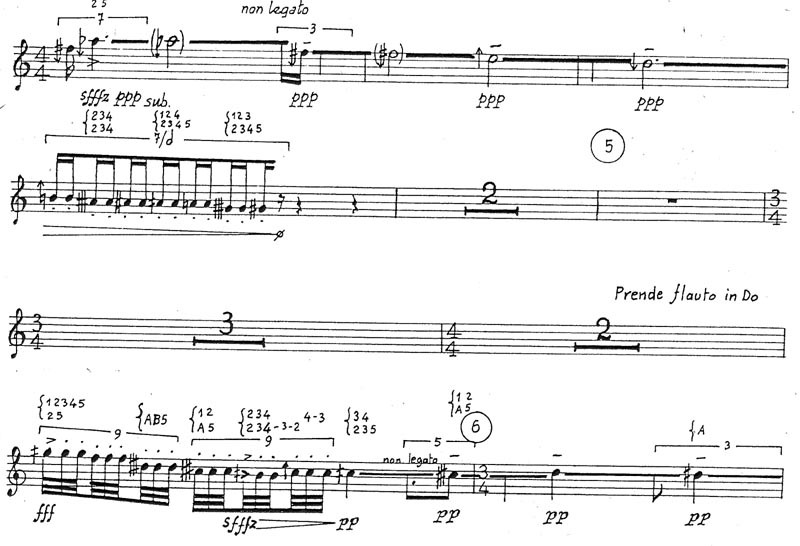 We will be performing Grisey’s Talea soon, and preparing the score, I am struck by how fantastic the piece is, yet how awkwardly some of the percussive effects are used. 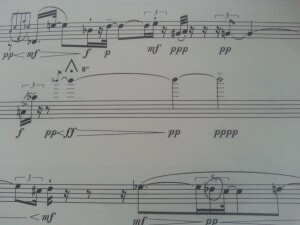 My goal is not to fault Grisey, but since there are composers who may emulate him (and why not? he was a wonderful composer! ), I want to smooth the way. 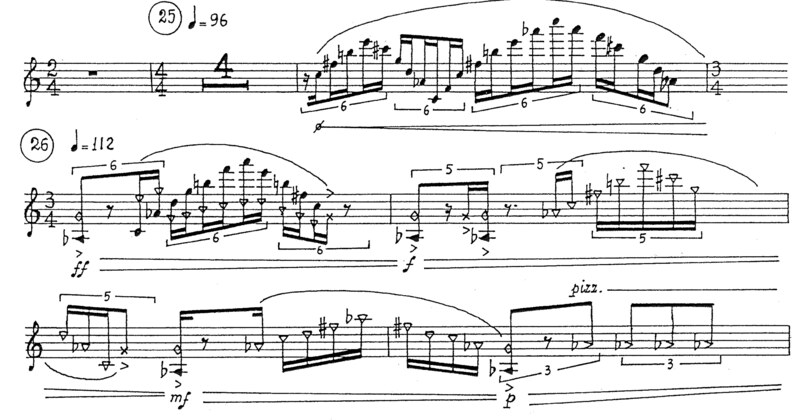 It seems to me Grisey and many other composers have a misconception of what these effects can actually achieve. This next sample shows a similar volume difficulty with the tongue ram at the end of a crescendo on the downbeat of 26, along with the difficulty of switching quickly from closed embouchure position to open in the two bars after 26. And I have to ask, who the hell is going to hear those key clicks? This is why they fall so often into my “why bother” category of techniques. Great use of pizzicato here, though. Why am I bothering with such small things? The musical intentions of the composer are clear, and one can easily perform the gesture with alternatives. However, students of flute and composition are getting younger and younger. Our youth ensemble is tackling repertoire I never dreamed of when I was in my teens. They may not have the experience to immediately grasp what is needed musically. They will, at first, take the score literally, thus getting frustrated. If their teacher is also inexperienced, there will be a double frustration and the trust between composer (alive or dead) and performer damaged.